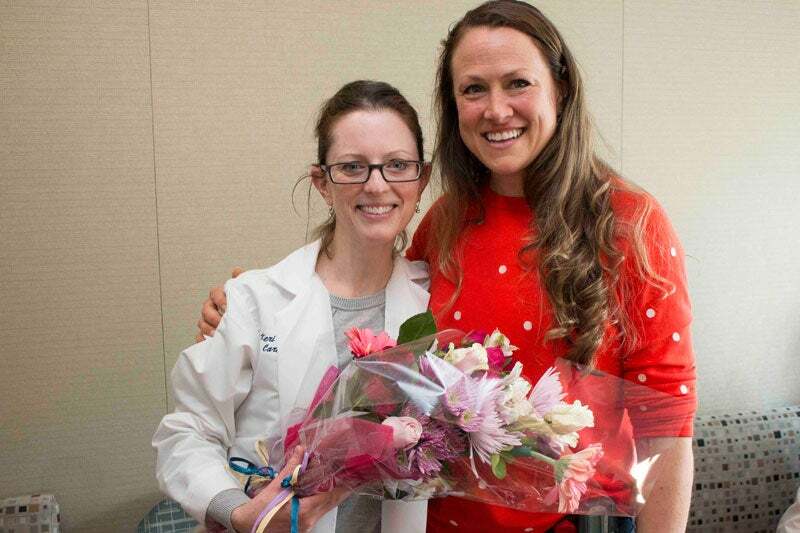 Congratulations to Keri McDonough, winner of Boston Medical Center’s 3rd annual “Nominate a Nurse” contest! 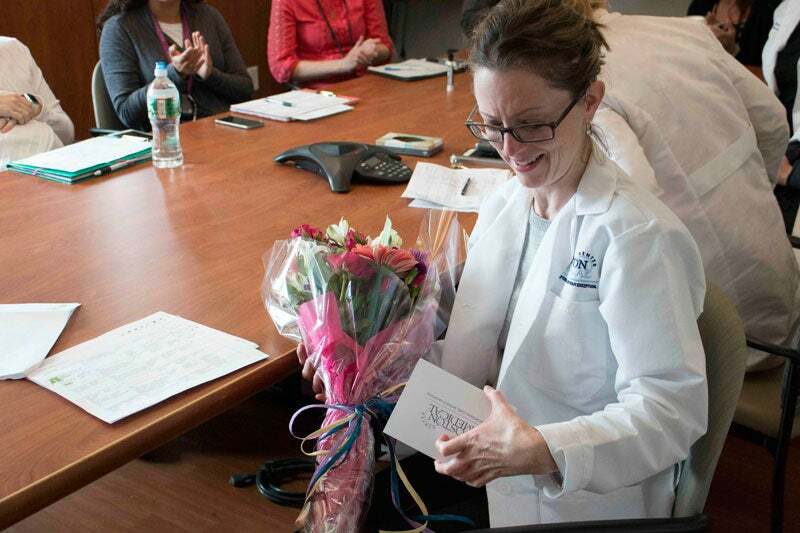 Keri was surprised with flowers and a card containing Danielle’s nomination, in honor of National Nurses Week. 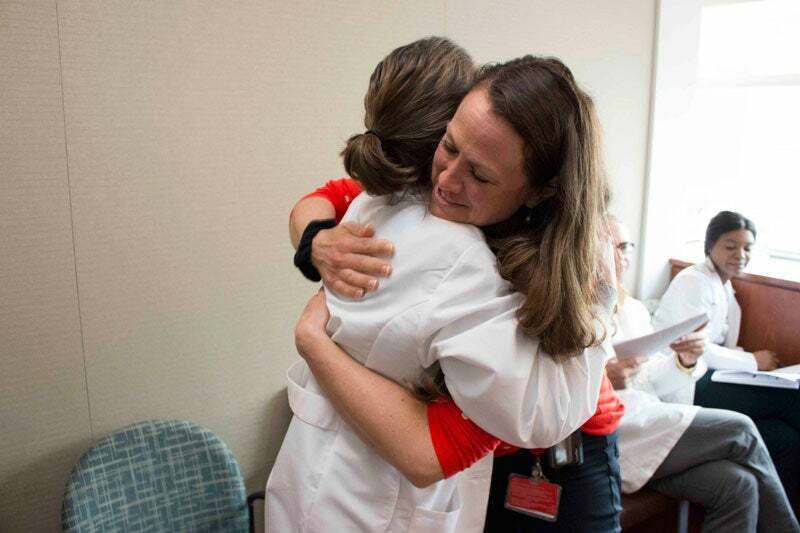 Each year, Nurses Week recognizes the incredible contributions made by nurses. Nurses Week takes place from May 6 through May 12, which is also the birthday of Florence Nightingale, who is considered the founder of modern nursing. “Keri always wants the staff to remember what a powerful tool we all possess to make a difference in the lives of our patients and families each and every day,” says Director of Care Management, Wanda Carlson. Keri has worked at BMC for three years. Boston Medical Center is proud to celebrate the role our nurses play in delivering the highest level of quality care to our patients. This year, we received a variety of nominations submitted by BMC patients and staff, explaining why their favorite nurse should be chosen! Each nominated nurse will receive a card letting them know that words of praise were submitted on their behalf. Our nursing staff provides care for countless patients and families, offering the highest levels of comfort during their time here at BMC. Thanks to all who participated in this year’s contest, and congratulations again to Keri!